« A prisoner divide In the GFFR? GNW learned that next month will be Madam Chair Tiplaria last term of office of Chair. She will not be able to run another term as Chair of the Galatic Federation of the Free Republic. GNW traveled to Yavin IV to have an interview with the Madam Chair and here is what she had to say. Is next month your last term of office? Madam Chair Tiplaria: Greetings GNW and to all your viewers. I suppose your viewers would like to know if it is true that next month will be my last month as Chair of the GFFR. This indeed is the truth unless the Senate votes to allow me to have another term of office but if that is not the case, The Senate will be starting election next month. The new Chair will start in January and I plan to support whoever that may be. Any citizen of the GFFR who wishes to run may run as a candidate. Madam Chair Tiplaria: My time as Chairwoman had its ups and its down but overall I wouldn’t change a thing. One of the sad point as Chair was losing Tython. I felt like I lost her on my watch but losing her put me in the state where I felt that GFFR needed to grow and add more members and we have done that. GFFR is in good shape for whoever may take over when I step down. There are some things I left undone but hopefully, the new Chair can fix what I couldn’t do. There were so many of our force sensitive citizen we couldn’t heal because the Hutt wanted too much for a crystal we needed. 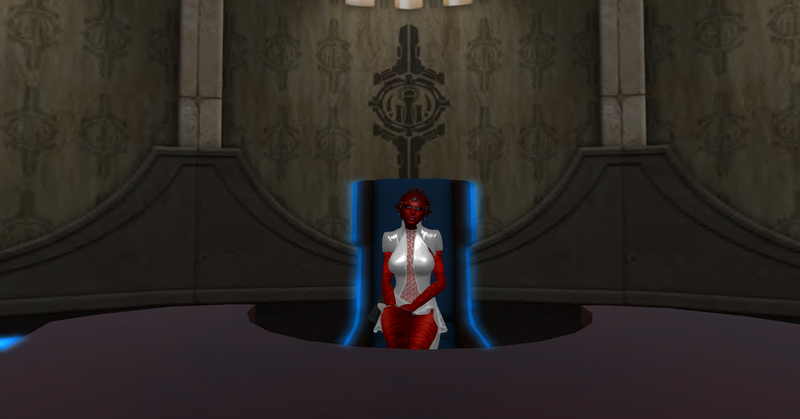 Madam Ch air Tiplaria: I am excited about the future of the GFFR and where it is going and I plan to go back to working in the Senate as Yavin IV senator if she would have me. There are a lot of talks in the Senate about where the GFFR is heading. I will not tell you what they are. All your viewers will just have to wait and see what we plan to do in the coming years. I can tell you that you may be amazed. There is no Government in my view that comes close to the GFFR and that is saying a lot.